How did the LS-50 compare to other standmounts that have come through my listening room and, to my Audio Note AX Two? First, the LS-50 seems like a natural progression from the LS-3/5a; since I recently reviewed Audio Space’s version I will note some of the differences. The Audio Space LS-3/5a is a smaller speaker that can be put in very small living spaces where it excels. The LS-50 has significantly deeper bass response with a similarly low sensitivity. The LS-3/5a however is considerably easier to drive, making lower power tube amps an ideal match. 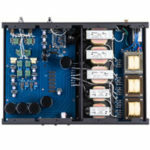 The KEF will require more power or very good power supplies from lower watt amplifiers. The Audio Space LS-3/5a had a crisp clean sound and was engaging but I feel both the Audio Note AX Two and LS-50 capture the strengths of the LS-3/5a but also bring bass and larger dynamic envelopes to the table. I preferred stringed instruments via the LS-3/5a though and there is a certain old school charm to the presentation. 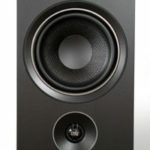 The KEF’s very modern iron grip over the proceedings may be viewed by some as a little soulless in direct comparisons. Ultimately though, I prefer the LS-50 because I listen to a wide range of music and for most genres I feel the KEF does a better job as an all rounder. Big scale dynamics and drive as well as significantly deeper bass weight is tough to live without. And while yes, you could add a sub to the LS-3/5a, you can also add a sub to the KEF – so the sub arguments are a wash. The KEF LS-50 versus the Roksan TR-5: This is an interesting battle because the TR-5 has a ribbon tweeter and there is a certain ambiance created in the treble range, as well as a speed and clarity. The drawback is dynamics, which ribbon drivers don’t really possess in my view. The KEF again has significantly more bass and dynamics, and overall scale is bigger and more controlled via the KEF. I realize some might make the case that you don’t expect a lot of bass from a standmount but you still want the most you can get. In a small room going with a small speaker having the bass offered up by the KEF is difficult to give up once you’ve had it. I prefer the treble resolution of the Roksan TR-5 and you may as well, but the KEF LS-50 – as an all rounder – has the edge in most if not all of the other areas of sound reproduction. 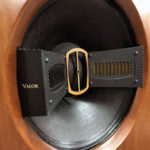 The AX Two was designed by Celestion and Rogers LS-3/5a designer Andy Whittle for Audio Note, and the speaker arguably has an older school presentation. 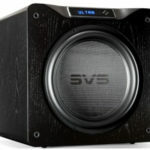 The larger cabinet and woofer are more to increase sensitivity than to provide ultimate bass depth. Still, the AX Two is close and satisfying enough in the bass that the KEF has only a modest edge. Surprisingly, the AX Two is just as cohesive if not more so than the KEF because of the AX Two uses complementary driver materials. All drivers have a sonic signature even if the crossover is seamless in regards to frequency response. The materials of the drivers have a signature and Audio Note is generally as cohesive sounding as two way loudspeakers get. I could go on here but suffice it to say that each of these two speakers does something better than the other, which is why I have kept both of them. The KEF is significantly more luxurious to look at and to touch and feel. It has a quieter cabinet and deeper bass. The AX Two conversely looks like something from the 1970s and doesn’t look the least bit high tech. On the other hand it is a much easier speaker to drive and is 2/3 the price, with an open airier presentation. If I had to pin them down I would say the KEF speaks more to my head while the AX Two speaks more to my heart. 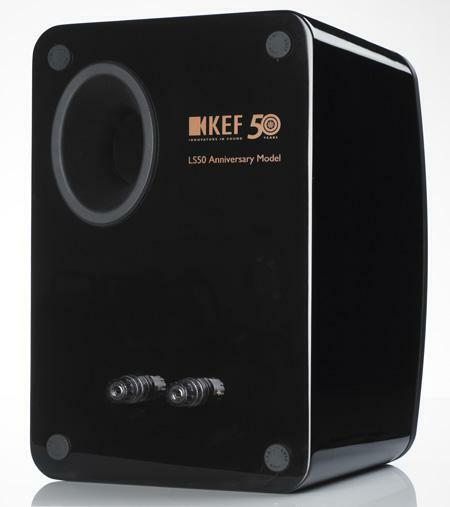 The KEF LS-50 is a superb loudspeaker that deserves serious attention. It has it all, great looks, build, sound, and has a high tech pedigree from one of the longest running speaker brands in the audio industry.